First discovered by farmers plowing a field in 1807 in Belarius, a landlocked country in eastern Europe. 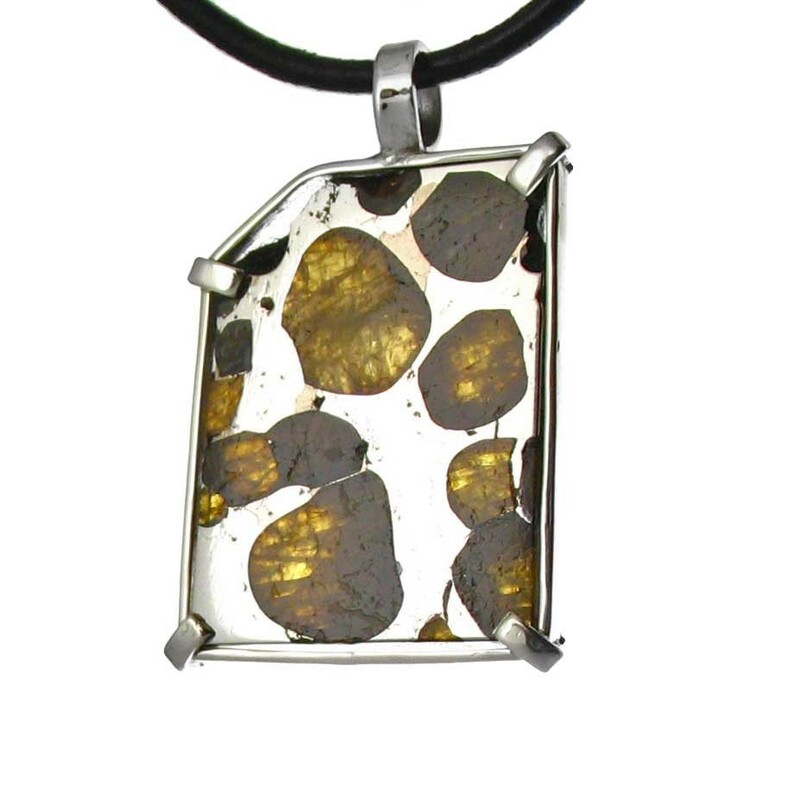 The Brahin is one of 42 meteorites recovered that are classified as a pallasite. Only about one percent of all meteorites found are pallasites. 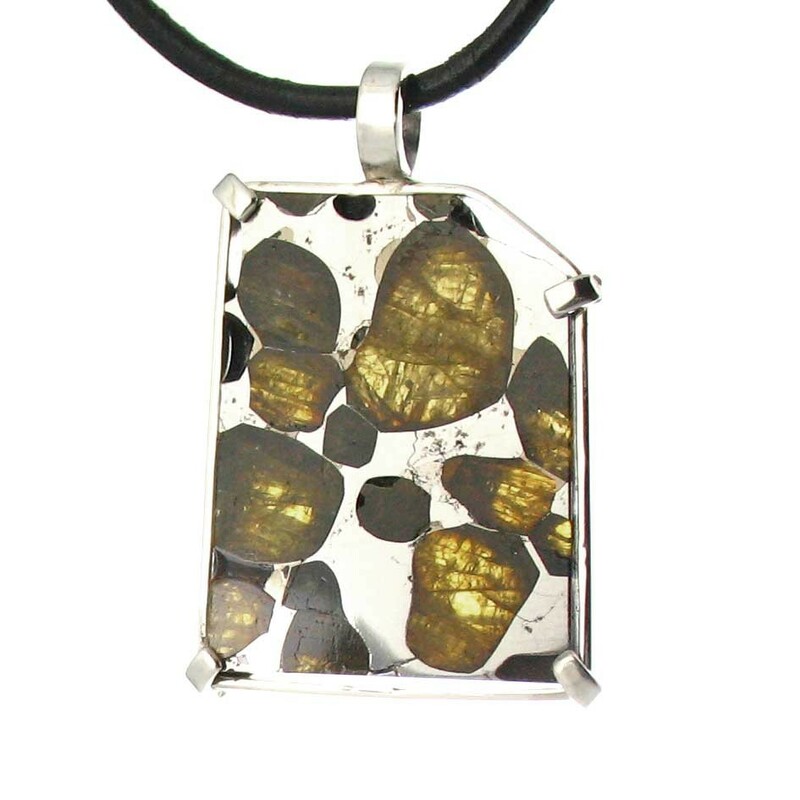 This pallasite weighs 30.5 carats. We have set it in a handcrafted sterling silver frame. Your gift boxed pendant will arrive with a descriptive card about your out of this world gift on your choice of necklace.